While playing the online game, Star Wars Galaxies, my client had collected quite bit of information he thought might be of use to other players. He wanted a simple blog where he could post the information, update and edit easily, and add all page content himself. 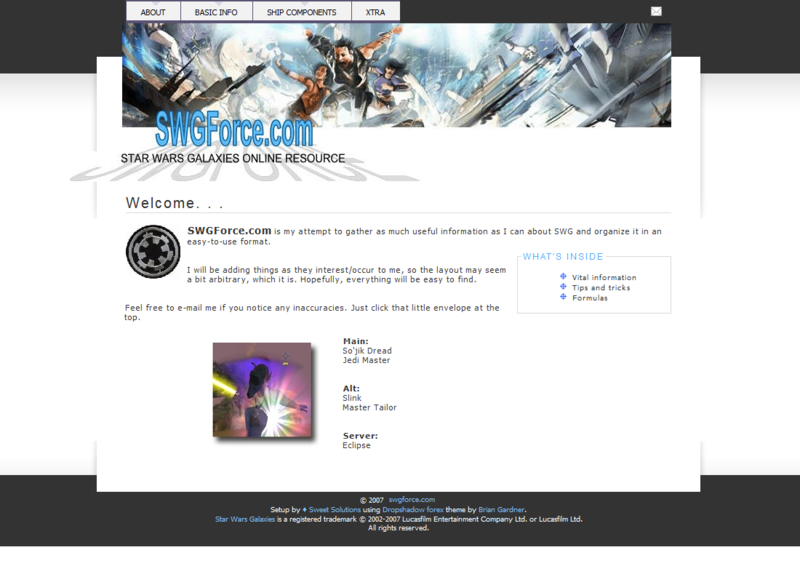 WordPress was the answer, and SWGForce was born. It was just a matter of finding a suitable WordPress theme—Dropshadow by Brian Gardner—creating a custom banner, uploading the theme files to the client’s server, setting everything up, and turning the project over to him for completion. In a word . . . easy.